Its a great memory aid, with just a quick look it could remind you to pick up that birthday present, meet friends for a coffee, and that you still have to complete your income tax return! 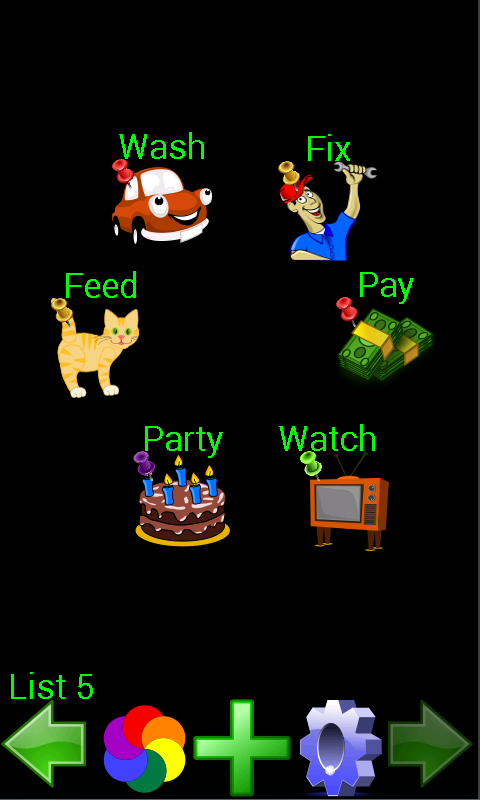 You can drag similar tasks together on the screen, or spread them over 5 different screens making effectively 5 different lists. You could have a list for work jobs, another for jobs around the house, a list of chores for the kids, a list of all the nice things you want to do but never find the time, etc. Increase your productivity :- Your brain processes pictures quicker then words so you can see at a glance what tasks are still outstanding. 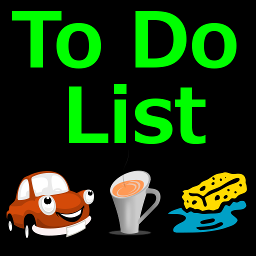 When reading through a list of tasks you may have to read the list several times before deciding what to do next, with pictures its far easier and far quicker to make the decision. 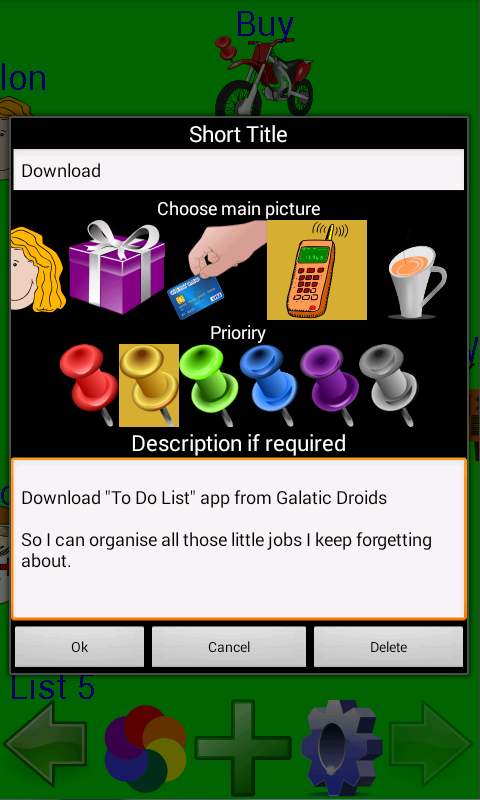 So download our graphical "To Do List" app now, soon you'll wonder how you ever managed without it!